All transactions are safe and secure with a reliable history in online purchasing behind each of our associates. 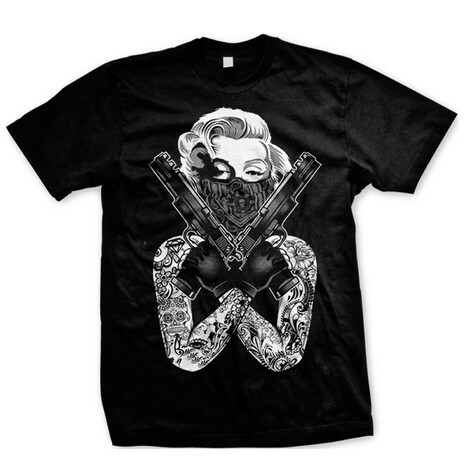 Buy the Ms. Monroe t-shirt to own Marilyn Monroe clothing and merchandise. Ms. Monroe rarely kept what she was thinking to herself. This Ms. Marilyn Monroe t-shirt seems to personify her quote, "I am good but not an angel. I do sin but I am not the devil. I am just a small girl in a big world trying to find someone to love." All of our Marilyn t-shirts have a lot to say, just like she did. Look for apparel with familiar movie lines and Marilyn quotes, including the Diamonds are a Girl's Best Friend t-shirt showcased in the gallery. In addition to the Ms. Monroe tee above, browse the Marilyn Monroe Clothing Gallery for more apparel like men's and women's clothes, kids shirts or hoodies.